In the name of all transgender people in Quebec, on Aug. 11, the Centre for Gender Advocacy filed a human rights complaint against the government and is now waiting to see what the next steps will entail. The law currently forces transgender people to take specific steps to gain recognition of their gender identity which causes them to struggle with a conflicting sense of self. “We’re saying that the law is discriminatory,” said Gabrielle Bouchard, the centre’s peer support and transgender advocacy co-ordinator. The complaint, sent to the Commission des droits de la personne et des droits de la jeunesse,(CDPDJ), targets Section 5, Article 71 of Quebec’s Civil Code. This law states that for a person to obtain legal recognition of their gender identity, they must successfully undergo medical treatment and surgical interventions, be over 18 and be a Canadian citizen. The centre is in a good position to make the complaint, according to Bouchard, since they have the necessary time and resources to do so and understand the issues faced by marginalized transgender people. Bouchard explained the regulations are discriminatory, violating six articles in the Charter of Human Rights, and must be removed altogether.Forcing transgendered people to undergo structural surgery shows a lack of respect as to their right to freedom and the obligation to be a Canadian citizen discriminates against transgender people who wish to move to Quebec. While the centre mostly deals with adults, other organizations such as Gender Creative Kids work with children.“We have kids who are trying to make a life and the gender that’s been assigned to them is not okay and they’re going through high school,” said Bouchard. The centre had been in discussions in recent months with the CDPDJ before they made the complaint and are now awaiting their written answer. CDPDJ suggested the centre speak to the Directeur de l’état civil but Bouchard knew going directly to the government, the source for this discrimination, was necessary. The next step in resolving this law is a civil court case against the government. Donations can be made on the centre’s website, which will go towards legal fees and funding the court case as well as to transgender people who might have to come to Montreal to testify. “If they’re willing to put themselves out there and give their time and divulge their transgender identity, or the fact that their parents are transgender people, we don’t want them to incur costs,” said Bouchard. The Centre for Gender Advocacy is working alongside other transgender-rights groups including Aide aux transgendersexuels et transgendersexuelles du Quebec (ATQ), Astt(e)Q, le Conseil Quebecois LGBT and Alterhéros. Donations can be made atgofundme.com/droits-transgender-rights. 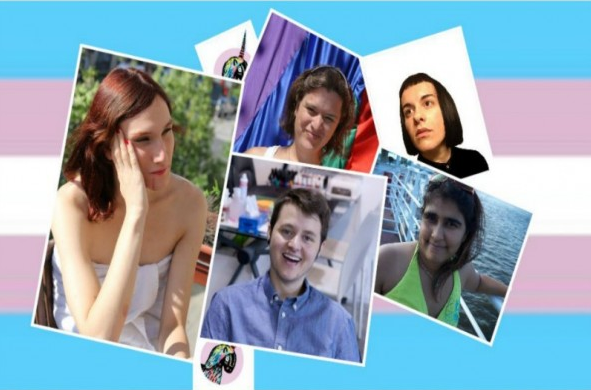 Photo caption: Not all people depicted in these photos are transgender.